AFTER being reunited with its overhauled bogies in May (see last issue), the unique Class 28 No. 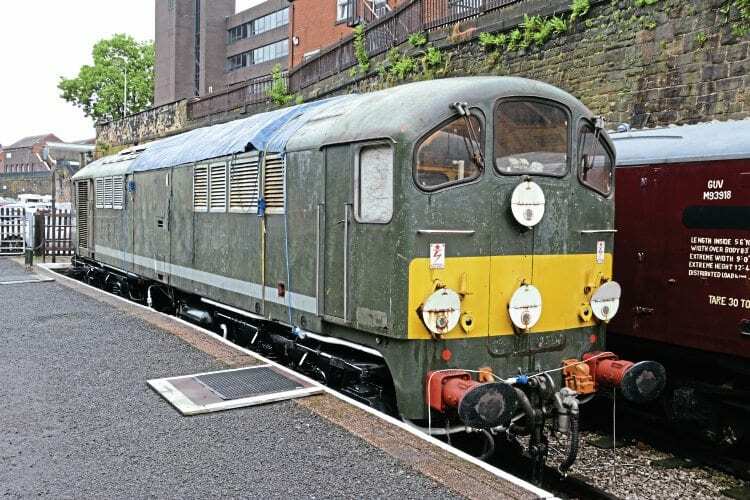 D5705 was displayed at Bury Bolton Street during the East Lancashire Railway’s diesel gala on July 8-10. The privately-owned loco is being restored by the Class 15 Preservation Society, with the current work focused on the loco’s reverser, which has been stripped for overhaul, while work has also begun on its electrics. A V12 marine version of the Crossley engine has also been acquired, which will allow the loco’s V8 rail engine to be returned to working order. There is not yet a date for a return to traffic, with the group stating it is concentrating on quality rather than speed.